Push Back Racking gives operators high-speed access to safe, high-density storage. It is one of the most space and time-efficient pallet systems available and uses a gravity-fed assembly in which pallets are placed on wheeled carriers and ‘pushed back’ along inclined steel guide channels to use the full depth of the racking. When a forklift pushes a pallet into a bay, the pallets already stored there are pushed backwards, when the pallet at the front is removed, the one behind it will automatically roll to the front. Increased efficiency with very fast access, good for stock with a predictable turnover. 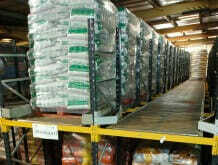 Indicators can show how many pallets are stored at each level, together with the space available. 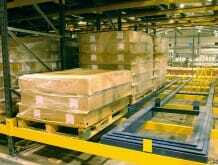 When a forklift pushes a pallet into a bay, the pallets already stored there are pushed backwards. When the pallet at the front is removed, the one behind it will automatically roll to the front. 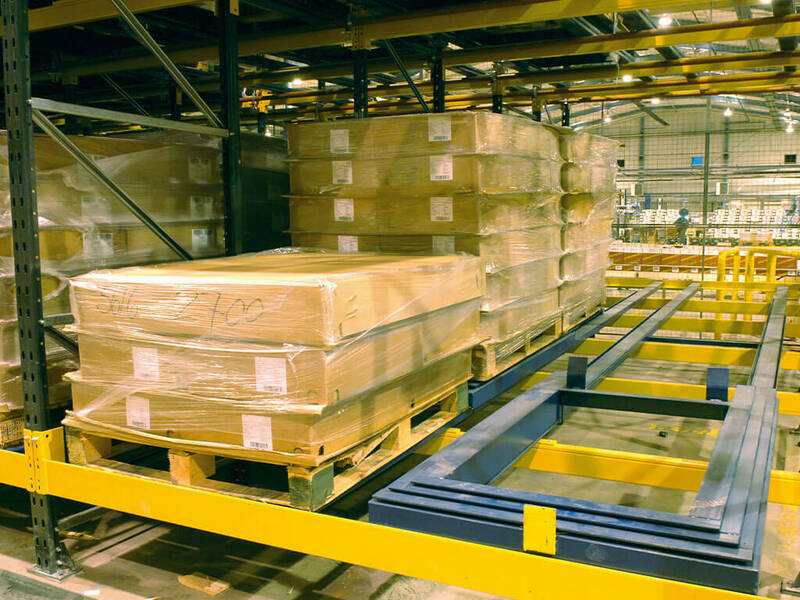 Pallets can be stacked four or five deep and usually up to five pallets high, effectively utilising space and allowing easy organisation of stock. Using a first-in, last-out (FILO) system and conventional forklifts, push back racking uses more than twice the floor space of wide aisle racking and indicators can show how many pallets are stored at each level, together with the space available. Push back is particularly suitable for bulk goods as individual pallets further back in the rack cannot be accessed directly – but when fully utilised extremely high occupancy and efficiency rates can be achieved compared to drive-in racking or block-stacking. Increased efficiency with very fast access. Easy to keep track of stock levels. Reduced damage compared to other simpler systems. Uses conventional trucks – cost-efficient. Good for dealing with stock that has a predictable turnover.